For years, rosé wines were dismissed by wine connoisseurs as undistinguished plonk. But as so often happens, the tables have started to turn. Even three years ago, the sales of rosé exceeded those of white wine in France. Pink was suddenly in fashion. In France, more than one in five bottles of wine sold is rosé. Pink wine has become trendy among the younger set as a light-hearted, undemanding drink. Recently a study in France revealed that while red wine is still the preferred beverage with meals, rosés have become more popular as apéritifs or casual drinks at the bar. Unlike most red wines, rosés are always light and fragrant (or should be), with delicate floral aromas and hints of oranges, grapefruit or lychee. For early evening drinks, or for something to go with a light snack, they are absolutely perfect, especially when they’re served ice-cold. This is a lovely clear pink with hints of orange and purple. The pleasing minimalist label doesn’t say much, except that the grapes come from old vines (“vielles vignes”). 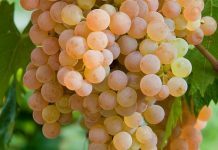 The wine turns out to be a Vin de Pays de l’Hérault and is made from grapes grown between Beziers and Carcassonne, down in the picturesque Languedoc region of Southern France. 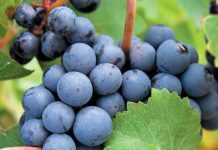 It’s made from 100% Cinsault (SAN-soh) grapes, a local variety that does well in warm, dry climates like the Languedoc. 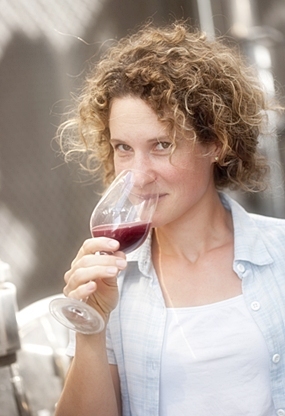 Winemaker at Da Chansac, Florence Sechet. You’ll find that the floral aroma is quite youthful and intense, with a suggestion of raspberry and other red berries. On the palate, it’s very light and smooth with a soft and attractive mouth-feel. The raspberries are up-front but the wine is as dry as they come: crisp, refreshing and with a pleasant dash of acidity that follows through to the clean finish. 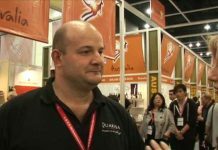 De Chansac wines come from LGI wines, a company which was set up in 1999 and is now involved with several top-class domains. It has become a leading player in the Languedoc region and this particular rosé won an award in last year’s “Best Value Vin de France”. It’s an attractive, undemanding wine and at this amazingly low price would be great fun for a party but it would make an excellent apéritif. It’s just 12% alcohol and would be perfect with light snacks and salads, but serve it really cold. It’ll soon warm up in the glass. Here’s a brilliant Thai wine to get your guests talking. For a start, it’s a beautiful colour, not just any old pink but a dusky pink with hints of orange. Call me old-fashioned, but I love dusky pink. It looks beautiful and there’s a superb sweet, fruity aroma too. Fresh apples seemed to come out first, followed by peaches and boiled sweets. There’s just a hint of pear-drops too, if you are old enough to remember them. The wine is light and crisp with a lively acidity on the palate. Although the wine is completely dry and has 12.5% alcohol content, the taste is fruity and delicate with just the faintest hint of sweetness. With your eyes closed, you’d think you were drinking a crisp white wine. But of course, with your eyes closed you wouldn’t see the lovely dusky pink, which would be a shame. The wine is young, fresh and charming with a sophisticated aroma. It’s made from grapes grown here in Thailand and this particular vintage is a blend of 90% Colombard and 10% Shiraz. It’s a real winner. I loved it and I shall certainly bring out a bottle or two for my next dinner party. They are not grand affairs you know, just some home-cooked food, a few friends who enjoy wine and the dogs, who normally don’t. This rosé would go down a treat as a welcome drink. Of course, you could serve it with food, especially some spicy Thai dishes, but I’d prefer to savour this excellent wine on its own. Oh, I almost forgot to tell you; it’s a lovely dusky pink.